Spring Roundup is scheduled for Friday, April 12 & Saturday, April 13. 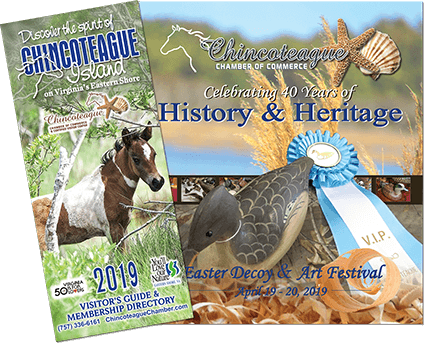 The Chincoteague Volunteer Fire Company holds two other round ups during the year besides the July Pony Penning Round Up; one in the spring and one in the fall. The purpose of these two extra round ups are an overall health check on the ponies and to see any new foals that have been born. They usually take place on a Friday afternoon and Saturday morning usually in April and October. The April round-up is when the buybacks from the previous auction will be removed from the Carnival grounds and released back onto the south end of Assateague to live out their lives. On Friday afternoon (around 4:30pm), the cowboys will round up the southern end of the pony herd and corral them into the south pen on road going out to the beach on Assateague. This round up usually takes a couple of hours and there is plenty of parking access to the ponies for the crowd to see. If you park in the Woodland Trail parking lot, please know that once the gates are open for the ponies to enter the corral, your vehicle will not be able to leave the parking lot until all the ponies are in the corral and the gates are closed. There is also ample parking along Beach Road. Once the ponies are in the pen, then the crowd can come up to the fence and take pictures, etc. Saturday morning (around 8:00 a.m.) the cowboys head up the service road to round up the northern end of pony herd and corral them into the north pen. The northern end round up takes about 5-6 hours to complete because of the number of ponies in the northern herd and the amount of land that has to be covered to round up the ponies. Parking is available at the Wildlife Loop parking lot. The public is allowed to walk up the Service Road to the cattle grate at any time of the day. Please be aware that this requires a three-mile walk one way (6 miles round trip) on a gravel road. Access farther north will be permitted after round up activities are completed. When the cowboys are rounding up the north end on Saturday morning, our vet is busy doing his checks on the ponies in the south corral. The vet team gives inoculations against West Nile and equine encephalitis, deworming, checks hooves and teeth and basically does an overall check. After the vet is done with the southern end, the ponies are released back into the wild and the vet heads up the northern corral to perform the same services on those ponies. Once he is done there, they are released into the wild to roam and await the next round up, which take place during Pony Swim week. Update from Chincoteague Volunteer Fire Company - (July 26, 2018) Fall Roundup is scheduled for Friday, October 12 & Saturday, October 13. Dates typically announced during the week of Pony Swim. Please check back for confirmed dates.